The Emir of Ilorin and Chairman Kwara State Traditional Council, Alhaji Ibrahim Sulu-Gambari, has cautioned kwara state government against dragging him into politics, describing himself as the father of all. This is contained in a letter issued Monday that dissociated the monarch from a letter issued by the management of the Kwara State Signage and Advertising Agency, (KWASAA) on issues relating to campaign bill boards mounted by the All Progressive Congress, (APC) in the state. Recall that KWASAA in a letter dated 6th November 2018 claimed that it received a complaint from the palace of the Emir of Ilorin on the campaign advertisements of the APC causing incitement in the state among others. The statement that cautioned the Kwara state government was signed on his behalf by the National Secretary of Shehu Alimi foundation for peace and development, Mallam Abdulazeez Arowona. The statement reads,“It is worrisome that the name of the Emir of Ilorin, His Royal Highness, Alhaji Ibrahim Sulu-Gambari, is being mentioned to cause disaffection among political gladiators in the state. “The emir is neither a card carrying member of any political party nor staff of any advertising agency. “His Royal Highness is always passionate about a United Ilorin Emirate, a United Kwara State as well as a United Nigeria. 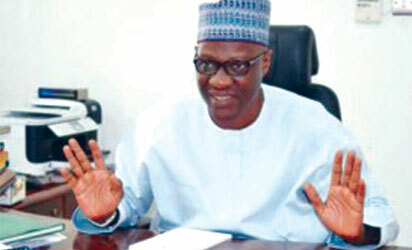 He is father to all citizens of Kwara State irrespective of your political platform. “It is expected that the advertising agency will demonstrate high level of professionalism and competence in its operations without necessarily dragging the palace to its affairs in order to achieve compliance. The statement therefore appealed to the general public to disregard the report even as it warned against recurrence of such dastard act.